If you have funds available that are paying you the standard bank interest of 1-2%, then this may be a consideration for increasing your returns. A Better Resume Service is offering a limited number of Promissory Notes paying 10.95% annually. As you may know, we are a 25 year old company operating out of Chicago, Lakeview, Oakbrook, Naperville and Tinley Park with affiliates in Schaumberg and Libertyville. We have assisted more than 50,000 job seekers and have an A+ BBB rating. In today’s financial environment, it is increasingly difficult for businesses to obtain financing. Many organizations raise capital by crowdfunding. Our offer is one step better because, unlike crowdfunding, we pay you interest on your money. Participation in this opportunity is available in increments of $500 with a $100 bonus for any participator committing $5,000 or more. Interest is paid by check monthly and principal is repayable upon demand with 14 days for processing. Money is being used to expand operations. If you believe you have benefited from the services of A Better Resume Service, please help us to continue helping others. 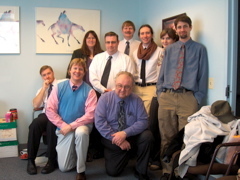 Our staff is dedicated to our mission of providing the highest quality and most effective resumes. Support for A Better Resume Services. Follow the link below for a simple form to complete which includes gift certificate requests and promissory note opportunities. Fill in the fields, click send and we will in turn send you the completed paper work. You will not be obligated to any commitment until you have had a chance to read and approve the documents. For gift certificate bonuses and promissory note requests. Click here. If you have any questions, you may call me directly. A Better Resume Service, Inc.